Terriers are on the road for a rematch with #2 Massachusetts at the Mullins Center. The game begins at 7 p.m. and airs on NESNplus and TSN Direct. Outside of New England, it can be streamed on the UMass Sports Network (pay-per-view). A week ago, the Terriers rallied against the Minutemen to tie the score in the third period before UMass scored a go-ahead goal and an empty-netter in a 7-5 win. UMass, which is 11-1-0 at home, is led by graduate transfer Jacob Pritchard with 32 points, defenseman Cale Maker with 30 and Mitchell Chaffee with 29. For BU, Joel Farabee with 14 points in the past 10 games, has taken over the team scoring lead with 24 points. Dante Fabbro has 22 points, Bobo Carpenter has 18 and Patrick Curry has a career-high 17. 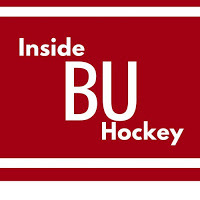 This week’s episode of Inside BU Hockey features Bernie Corbett’s interviews with Coach Albie O’Connell and senior forward Ryan Cloonan. 2019 recruit Trevor Zegras scored a third-period goal in Team USA’s 3-1 win against Finland in the 2019 U18 Five Nation’s Tournament in Sochi, Russia. Zegras also had a goal and an assist in an opening game loss to Sweden, 7-5. He has 56 (17G, 39A) points in 39 games this season. Evan Rodrigues scored his eighth goal in the Sabres 6-5 overtime loss to Carolina. Brady Tkachuk scored his 12th goal in Ottawa’s 4-0 blanking of Anaheim. Colin Wilson’s 10th goal late in the third tied Colorado and the Capitals at 3-3 before the Caps won in overtime. #8 Terriers earned a spot in the Beanpot final with a shootout win over #3 Northeastern Tuesday night after the teams had played to a 3-3 tie following regulation and overtime. 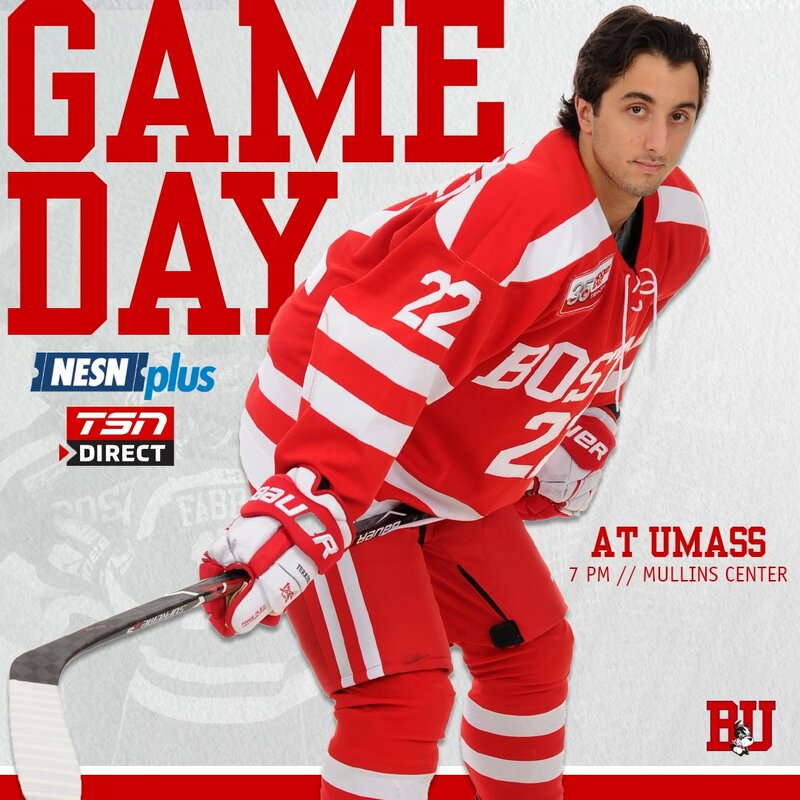 BU trailed in the shootout, 1-0, after two rounds, but Nara Elia scored to keep the Terriers alive. Then in a fourth round, Reagan Rust ripped a shot past NU’s Aerin Frankel for the victory. In regulation, BU came from behind three times on goals by MacKenna Parker, Sammy Davis and Jesse Compher. Corinne Schroeder stopped 31 shots, along with three of four shootout attempts. BU extended its best-in-the nation unbeaten streak to nine games (7-0-2) and will face Harvard in next Tuesday’s championship game.